The web, the internet, the interwebs, cyberspace, whatever you call it, it&apos;s not getting any smaller. They, whomever "they" are, said the internet would shrink the world, and maybe for a while, it did, bringing us all close together, but now, with the number of social media sites out there, it seems to be getting much bigger again. How do you get through the clutter? How do you choose what to be on and what to invest your time in? 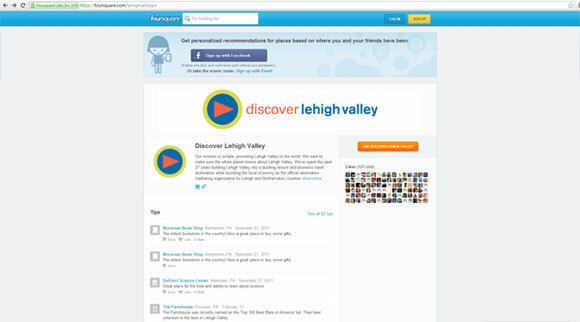 Here at Discover Lehigh Valley, we try to keep our finger on the pulse. 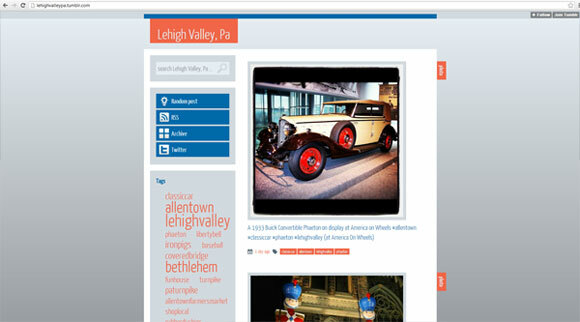 We aren&apos;t trying to be everywhere, but we are striving to maintain a Lehigh Valley community online that is just as vibrant as the one in our hearts, full of memories and attractions and people. So where are we building our online communities? I&apos;m sure most of you are well aware about our Facebook, Twitter and Youtube. Those need no explanation, but are you aware of our Pinterest, Foodspotting, Foursquare, Instagram or Tumblr? Unfamiliar with Pinterest? Think of the picture above as a giant cork board, pinned with pictures. Only, you won&apos;t have worry about pinning things in front of each other because you&apos;ve got unlimited space! Also, you can create different boards for whatever you want, one board for your child or one for each child, one for your coffee habit, and one for the town you grew up in. What can you pin? Any image on the internet. That&apos;s it, it&apos;s really that simple. You can use Pinterest almost any device you can think of. 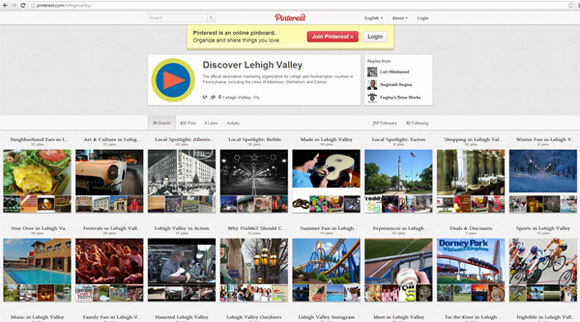 We have boards for everything Lehigh Valley, and we&apos;re always up for starting a new one. Foodspotting. We&apos;ve covered this before, but bottom line, you can see what we&apos;re eating and where we&apos;re eating it. Foodspotting is great on a mobile device because it will show you a map with pictures of the food available near you. It&apos;s a visual menu of what and where to eat. 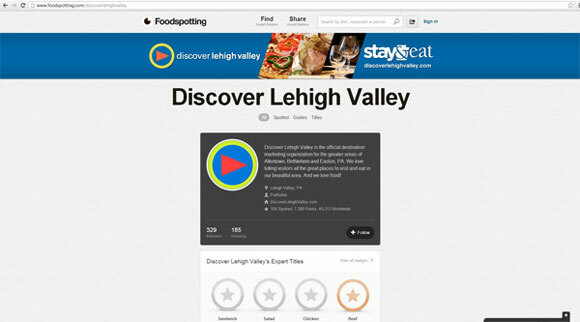 We like to eat in our office, so sign up and follow along on our Gastronomic adventure throughout Lehigh Valley. Friend us or don&apos;t, either way you&apos;ll see the fun, insightful and helpful hints we leave all over Lehigh Valley. New to you: Foursquare will no notify you when a new restaurant opens near you. It&apos;s a very recent feature, but so far, people are loving it and that includes us! Pictures, everyone likes pictures. 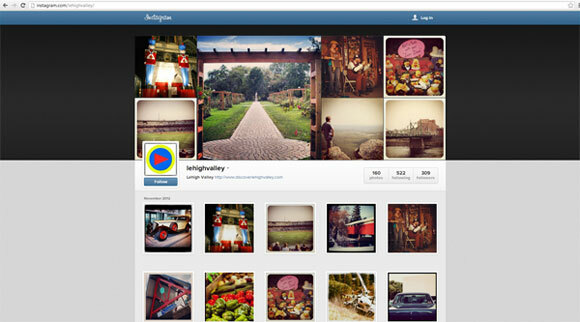 On occasion we share our instagram photos on facebook and twitter, but to see all of our photos just follow us. Besides you&apos;ll want your own instagram account to practice for your chance to be one of our monthly "Guestagramers". What do we instagram? Everything, if we&apos;re there, we&apos;re likely to snap a photo. Enjoy. What is Tumblr? It&apos;s a blogging/micro-blogging platform but we use it as a catchall for our media. Every instagram photo, every blog we write, every video we post on youtube, any and every piece of media, we put on our Tumblr. Tumblr is also a social network in and of itself, but simply put, from what we put on it, it&apos;s a good way to follow our media, if you like our instagrams and youtube videos and don&apos;t mind seeing snippets of our blog posts, this is they place for you. That&apos;s it, that&apos;s the list of where we are and what we&apos;re doing with it. For the record, this isn&apos;t complete list of social networks we&apos;re on, but these are some very fun social networks that seem to be a little off the beaten path. What social networks are you on? How do you follow us? 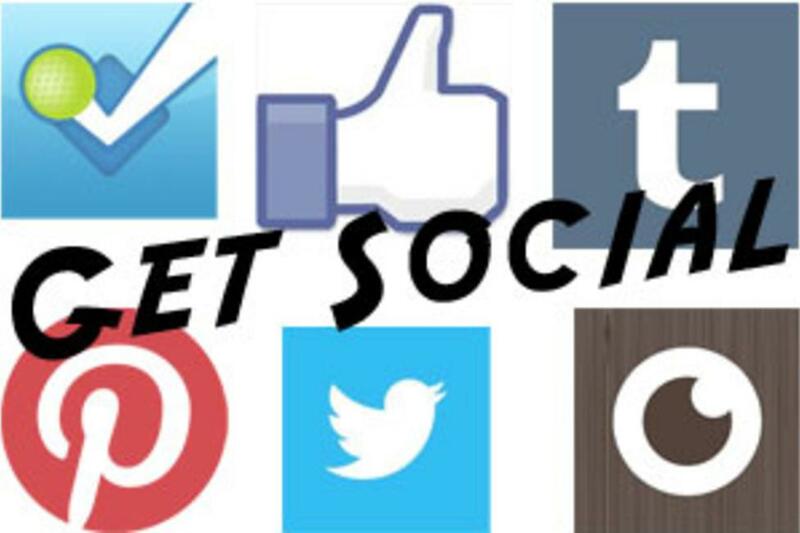 Is there a social network you&apos;d like to see us on?